A workshop in obituary writing will provide participants to take a close look at their life so far. Award-winning writer Sharon Wood Wortman will lead the workshop Monday and Tuesday, June 18-19, 2018, at Colonyhouse in Rockaway. The two-day workshop is limited to the first five registrants. It includes snacks, handouts, and a free copy of On Writing Well, by William Zinsser, and A Heaven in the Eye, by Clyde Rice, the latter the winner of the Western States Book Award and published the year Rice turned 81. The cost of the workshop is $120 for the workshop, $100 additional for bed and breakfast (double occupancy) at the Colonyhouse. 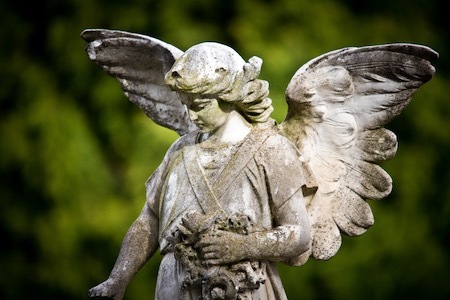 On Day One participants will learn about the history of obituary writing, including costs (and the ways to save money and still say all that you want). They will study examples of all types and lengths of obituaries, paying particular attention to unusual forms, first sentences and lead paragraphs, and to those known to have been written by their subjects. They will also see the 2016 film Obit, the first documentary to look into the world of newspaper obituaries, via the obituary desk at The New York Times. On Day One and Day Two, they will write using prompts and writing exercises provided by the leader. They will then sit by the fireplace reading their life stories aloud to each other. At the end of the weekend, they will have a 600- to 900-word epitaph, which can be published as an obituary at some time or used to evaluate the writer’s life direction and future. Participants are encouraged to bring a timeline of the milestones in their lives — not just a listing of accomplishments (we are not applying for a job or writing a resume), but one with the people, places, and things that altered our trajectory during our ride. Sharon is a poet, memoirist, journalist, and obituary writer whose work has been published by Calyx, The Oregonian, and Windfall—A Journal of Poetry of Place, among many other publications. 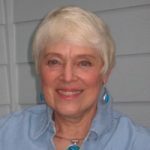 The recipient of three Regional Arts & Culture Council grants and a former Oregon Chautauqua scholar, she served as founding editor of The Colonygram Newsletter in 1984 and has been a lifetime member of OWC for almost as long. She is best known as the author of The Portland Bridge Book and for the bridge walks she led for Portland Parks & Outdoor Recreation for almost 20 years. Questions? Email Sharon (phone number on registration form available for download). Download the form to pay by check.